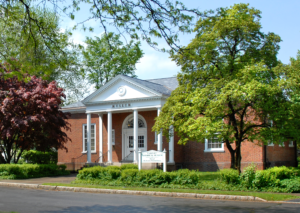 The Perinton Historical Society (PHS) is a non-profit volunteer organization that operates the Fairport Museum at 18 Perrin Street in the Village of Fairport and maintains its collections. The Society began as a research organization founded by ten individuals in 1935 and incorporated in 1937. Now over 70 years of documents and images have been collected. Some items from our collections are found nowhere else. The mission of the Society is to promote interest in preserving and sharing local history. The vision is to be the leading, widely recognized community resource for promoting and instilling a sense of local history among Perinton residents. One of our key goals is to operate the Museum using the American Museum Association’s standards and to enhance our collections by focusing primarily on acquiring objects and artifacts manufactured in Perinton in the 19th and early 20th centuries. We have collections and resources on farming, genealogy, canal development, structures, and industry. You can support the PHS by becoming a member, giving of your time as a museum volunteer or on a committee, donating artifacts to the museum and purchasing unique items in the museum gift shop.